Georgia is a country full of beautiful outdoor sights, warm and comforting food, and friendly people. 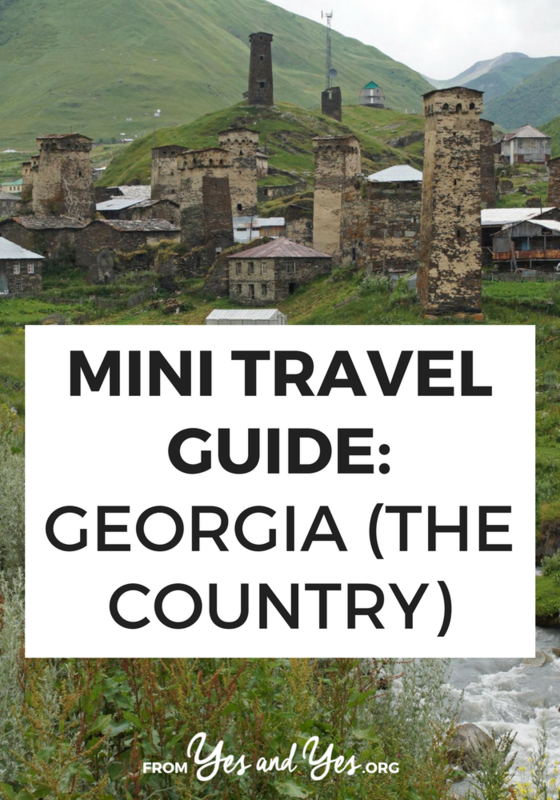 This mini travel guide to Georgia from a former resident is a great preview of what to expect on your travels there! Hi! I’m Ashley. I lived in Tbilisi, Georgia (საქართველო in Georgian) for a year, teaching English to bureaucrats and police officers, as well as editing a local English-language newspaper and doing some freelance English styling. I miss it a lot, and will always feel a unique closeness to the country and its people. The beautiful capital, an architectural journey through Georgia’s history as the oft-conquered crossroads between Europe and Asia. See Persian, Ottoman, and Soviet influences and watch as modern, all-glass buildings rise with Georgia’s economic fortunes. Tbilisi is a great home base for tourists, as there are lots of English-speakers to help ease you into this new country. 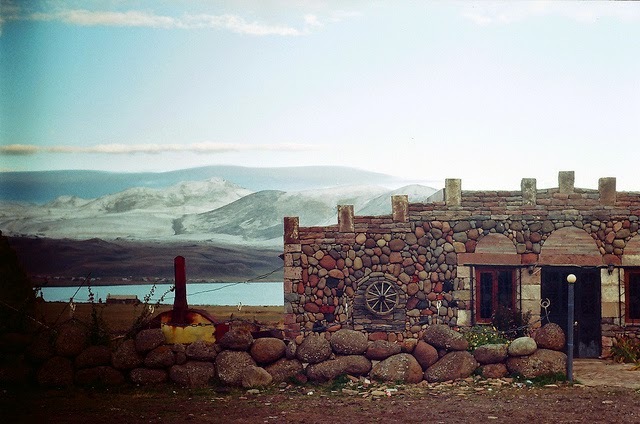 From here you can catch a train or marshutka bus to anywhere in Georgia (and beyond – Turkey, Armenia, Azerbaijan and Iran), as well as arrange day trips to the snowy mountains, grassy plateaus, influential archaeological sites, and historic churches that dot the countryside. Miami on the Black Sea. Swimming, partying, gambling, and the wildest public art are all on display in this rapidly changing port city. Long a favourite resort town for the Soviet elite, it’s now the holiday spot for all Georgians, and where Western artists like Enrique Iglesias come to perform (he’s inexplicably popular here!). It’s a bit of a trek to Svaneti, the mountainous northern region, but it’s well worth the journey. It’s up here that Georgia really shows its glory – hiking, horseback riding, skiing, and breathtaking views. Take a long, bumpy marshrutka ride cross-country (or a short flight with a couple of Canadian pilots) – every Georgian I’ve met swears this region is the best in the country. Georgia has been identified as having “untapped” ski resources, and is updating its infrastructure to attract ski enthusiasts from Europe and beyond. The mountains here are spectacular and extreme sports like heli-skiing are becoming more popular – plus, it’s a lot cheaper than Switzerland! You can’t help but do a ton of hiking in Georgia – there are opportunities everywhere, for every skill level, and in places barely touched by tourists. Pack a bag with lobiani (bread stuffed with mashed beans) and revel in the quiet, natural beauty or explore the cave cities and ancient monasteries. 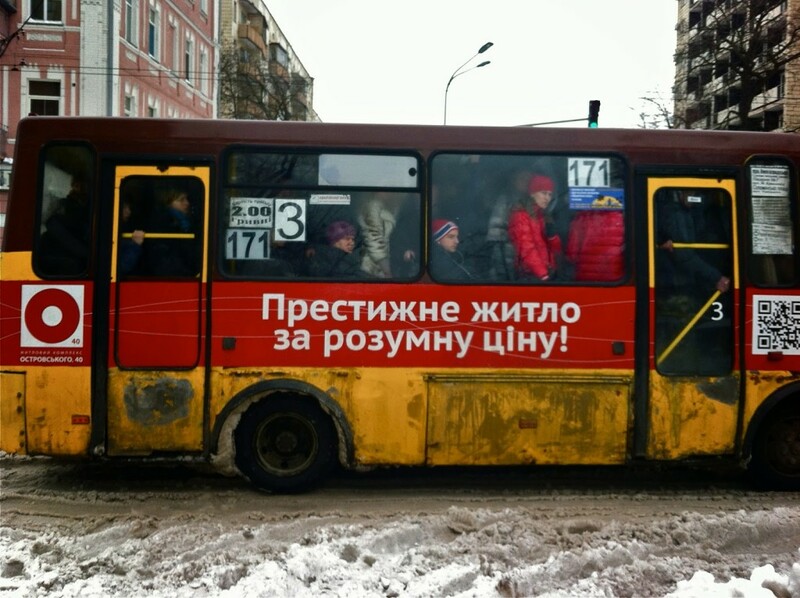 Terrifying, overstuffed little Soviet vans that are still the best way to get around. Flag down the vehicle you want (anywhere, there are no set stops), and then yell “gaacheret!” or “gamecheret!” when you want to get off. Imagine how accomplished you’ll feel when you master a route and make it your own! Hearty soup dumplings. Usually filled with meat and broth, you dust them with pepper, hold the stem, and bite – but make sure you don’t spill the hot broth! Men are expected to eat huge piles of khinkali; I tap out at about three. A variety of breads stuffed with cheese (so, the perfect food). 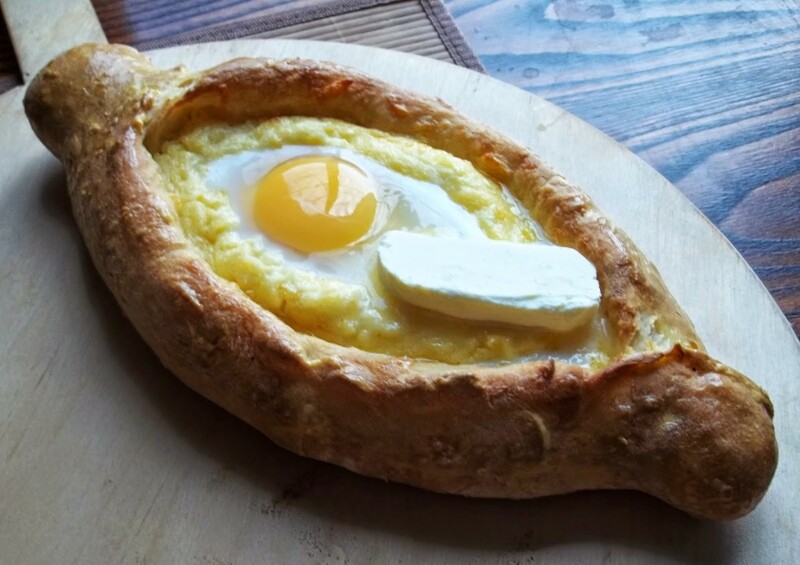 My favourite comes from the region of Adjara – it has an open top, with a raw egg and butter that gets stirred into the cheese immediately upon arrival at your table. Georgia “ketchup”, a lightly spiced tomato sauce that gets smothered on everything from fried potatoes to pasta. Georgians are famed for their hospitality – so don’t be shy! Most Georgians are very interested in foreigners, so may ask you to join them for a drink, invite you to their table, or even into their homes. As long as you feel comfortable, accept! You’ll be treated to homemade food and wine, and probably chacha, a grape brandy that will put hair on your chest. You may have the opportunity to attend a supra, a traditional meal that involves a lot of toasting (to love, friendship, Georgia, your home country) and loads of food and drink. A word of advice: pace yourself! As Georgia is still new to tourists, you may have trouble finding English-speakers, particularly fluent ones, outside of the capital. If you can speak Russian you have an advantage, but people are friendly and always willing to lend a hand to someone in need. I’ve lost count of the number of times I was in a jam and a Georgian I’d never met helped me – without asking, and without expecting anything in return. Being a former Soviet country, Georgia is pretty cheap. Tbilisi restaurants with English-speaking staff will run you more than picking up food from hole-in-the-wall stalls or markets, as will anywhere that serves non-Georgian food. 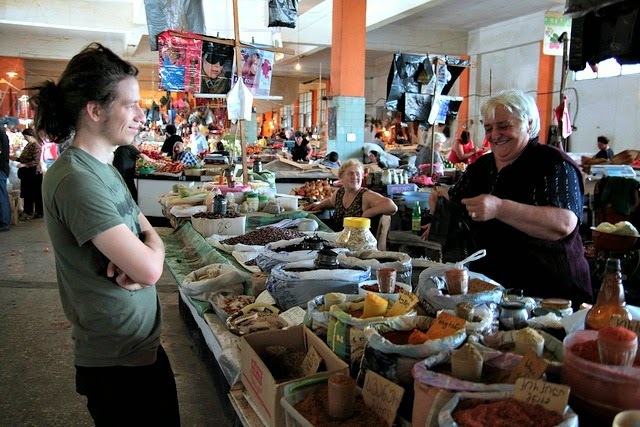 A word of warning: as not all Georgian markets have the same level of food safety and hygiene practices Westerners are used to, use your judgment when purchasing meals or ingredients. Hotels and hostels in Tbilisi will be more costly (though couch-surfing in the ex-pat community is definitely an option). As with many tourist destinations, Airbnb is usually cheaper and more authentic than a hotel. Here’s a gorgeous loft in Tbilisi for $35 a night and here’s a museum-caliber historical studio for $49 a night. If you’ve never used Airbnb before, here’s a $40 credit towards your first booking! In Tbilisi, the subway is safe and reliable, while marshutkas can be an adventure. Taxis are cheap – but remember to ask (and haggle) the price before getting in. Thanks so much for sharing, Ashley! Have any of you guys been to Georgia? Any insights to share? I totally agree. must have this Khinkali. I have tasted that and i still remember how tasty is that. I love this feature! I'd always been dreaming about how it would be like to teach English there (unfortunately I think my relatives would kill me because it's so close to Russia!) Looks like a beautiful but often over-looked country. I'd love to experience one of those supra dinners! Thanks! These posts don't get a ton of comments so it's always great to hear that someone is enjoying them 😉 I try to highlight lesser-traveled to destinations – it's such a huge world and we don't all need to go to Paris 15 times, you know? I'd never heard of khatchepuri before, but after seeing that picture I think it's something I need to eat! This is so cool! I'd never thought to visit Georgia, but now I really want to! Ahhhhh, I want to visit Georgia! A) It's my name, B) the Dead Sea is supposed to be really great for psoriasis (something I have). 1000% bookmarking this! I always enjoy the mini travel guides, but this one is actually on my to-visit list. Hey Sarah – Would have loved a bit more detail here. 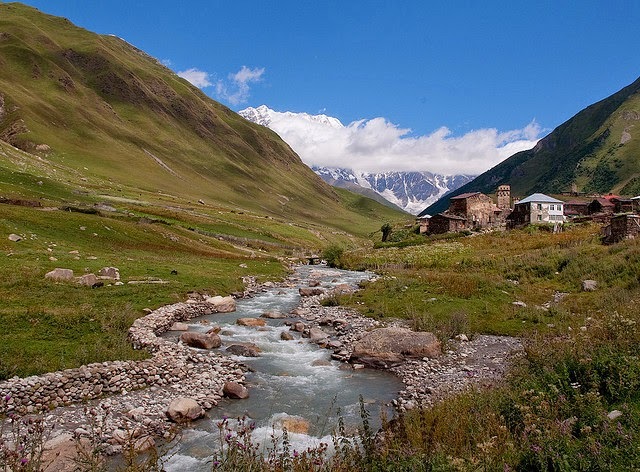 Svaneti sounds interesting…but where in the region should we go? What cities/towns are good bases? Thanks for the high-level view…would love a second post with a much more drilled-down set of suggestions if possible! Taxify was the secret behind enjoying wandering aimlessly in the streets of Tbilisi. It’s a mobile application just like Uber. You needn’t talk to the driver or bargain. Just type your destination. You don’t even know where your legs had taken you. P.s. It’s much cheaper than taxis that might take advantage of your ignorance. 4 or 5 larries maximum. And you can track, share and evaluate your trip, which can be in a Mercedes or Lexus.